Spinlock employees nominated at infonegocios. Spinlock / Uncategorized / SPINLOCK EMPLOYEES NOMINATED AT INFONEGOCIOS. Spinlock employees nominated at infonegocios. 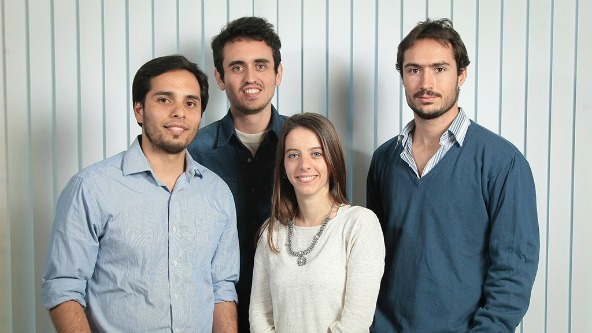 Emiliano Nahuel Cecchi, Commercial Assistant; Ximena Vogel Conchez, Commercial and Marketing Coordinator; Cristian Sebastián Moré, Senior Researcher and Pedro E. Vildoza, Electronic Engeneer. Infonegocios recognized Spinlock employees in its “Young Promises 2016” section within the IT Companies category. The event was held in September and had a great convocation.